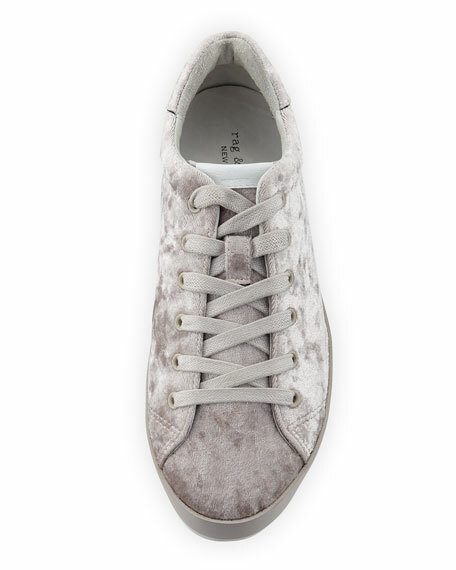 Rag & Bone crushed velvet low-top sneaker. 1" leather-wrapped wedge with platform. 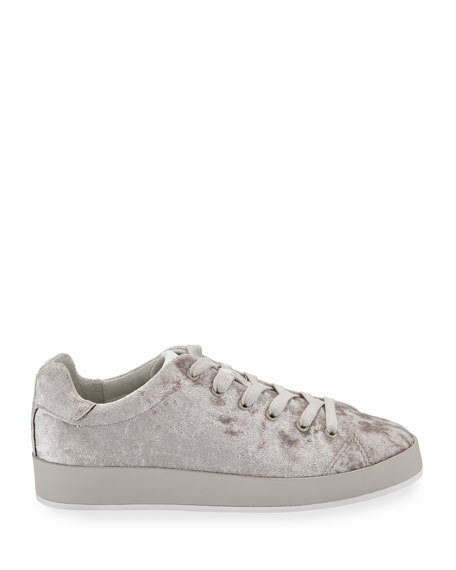 Cole Haan sneakers in quilted neoprene fabric with leather trim. Grand.OS?? technology for lightweight comfort, flexibility, and responsive cushioning. 0.8"
Cole Haan sneakers in quilted neoprene fabric with leather trim. Grand.OS?? technology for lightweight comfort, flexibility, and responsive cushioning. 0.8" flat heel. Reinforced round toe. Lateral lace-up vamp. Manmade outsole. "Zerogrand" is imported.